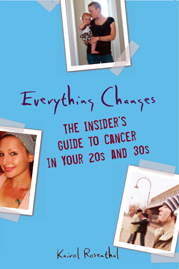 Everything Changes – The Guide to Young Adult Cancer » Back To School With Cancer? I got the “C” news one year before I was supposed to graduate with my undergrad. 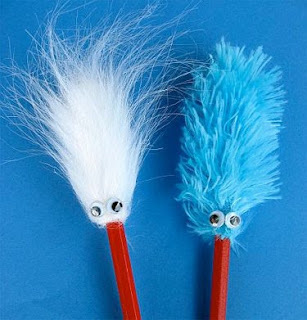 I feel the way everyone looked at me changed. I was such a good student, involved with extracuricular stuff left and right, and had scholarships and research projects. I was confused about my diagnosis and wanted to blame someone or something, so I began questioning the safety of some of the labs I’ve worked in. Ultimately, everyone ended up treating me like I never deserved to be there. Years later, my emails barely get noticed by these people, mainly old professors. My friends are another story, mostly they didn’t know what to say to me. So most chose to say nothing. It really hurt, but I know now who my true friends are. I now disclose my cancer to anyone who sees or asks about my scar. The more aware others become, the less of fight we all face in the future. Standing your ground in whatever you believe will pull you threw your struggle, as we all go through it differently. I got news of my stage 3 diagnosis in the middle of my grad program. I had to begin treatment immediately, but my professors were all very understanding and accomodating. I returned one month after I finished my last chemo and went back to my TA position as well. As far as my fellow students, they all reacted differently, some not knowing what to do or say, some ignoring it entirely. The major negative I experienced through the school+cancer experience was my medical care initially. The student center clinics really are not equipped with the knowledge and ability to support cancer diagnosis for 20-somethings. The nurse practitioner who saw me literally opened up a text book to describe my cancer when I first found out! KELLY – I agree that, unfortunately, a lot of people don’t know what to say. I was a social work major in undergrad (and when I was diagnosed) so was in a supportive community, but nonetheless, a lot of people were at a loss. Good for you for speaking openly about your cancer! It’s so important to create awareness, especially among young adult cancer. CHRISTINA – I too was treated at my school’s student health center, and they are definitely unable to deal with a cancer diagnosis! My primary care doctor told me, “We can treat colds and STIs, but not cancer.” Although I liked (most) of my providers, I wasn’t always confident in the care I was getting. Did you end up seeking care elsewhere? Hi, I am int he same dilemma as I dont know if I should hide the thyroid scar or not. Necklaces on the scar makes it sore and I cant be wearing scarves all the time. Please, what should I say or what should I do? I am a 29 y old teacher of young adults intheir twenties mainly. Let us know what works for you and good luck! I am also a 28 year old teacher, but of teenagers. I was afraid it would become an issue due to immaturity of the students. I wear scarves that hide my scar about half the time, and nobody has said anything. Among young adults at the university, nobody has said anything, and I go without covering my scar most of the time when around adults. I got a lot of thin silk scarves so they don’t bother my neck or make me too hot.